Mazel tov to The Brochin Spicehandlers on Ari and Sarah's wedding! 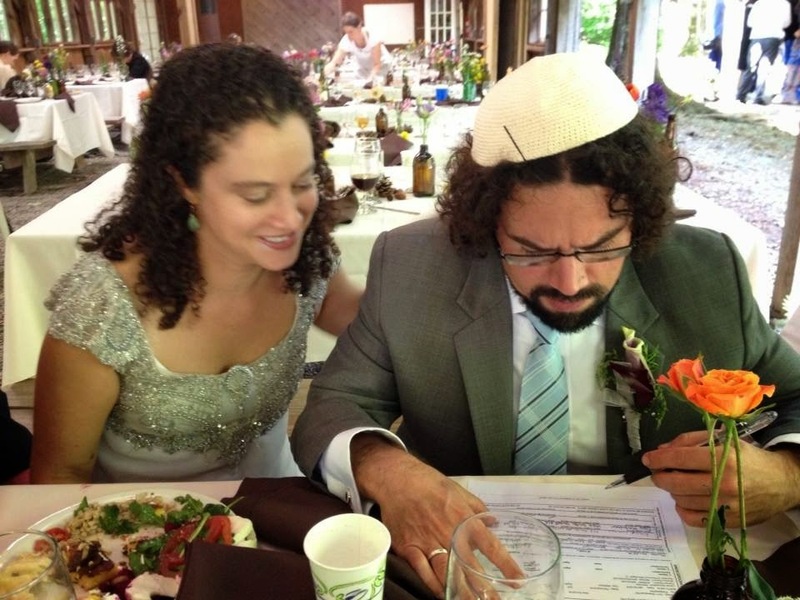 Ari Brochin has made it from the Maslow window sill to the chuppah, and the NYTimes! Mazel tov to Ari and Sarah! Sarah Rachel Meyer, the daughter of Ruth Meyer and Jeff Meyer, both of Melbourne, Australia, is to be married Sunday to Ari Spicehandler Brochin, the son of Rabbi Reena Spicehandler and Jeremy Brochin of Philadelphia. Rabbi Micah Kelber will officiate at the Abode of the Message, a retreat center in New Lebanon, N.Y.
Dr. Meyer, 33, is a postdoctoral researcher in public health at Columbia. She graduated from Monash University in Melbourne. She received a master’s degree in development studies from Oxford University, where she was a Rhodes scholar, and received a Ph.D. in public health from Johns Hopkins University. The bride’s father is a real estate agent in Melbourne. Her mother, who is retired, taught English as a second language at the Melbourne Language Center. Mr. Brochin, 34, works in Thailand as a manager for the Karen Human Rights Group, an organization that reports on human rights issues in eastern Myanmar. He writes and edits reports on human rights issues and leads training and education on those topics. He graduated from Wesleyan University in Middletown, Conn., and received a law degree from Benjamin N. Cardozo School of Law at Yeshiva University. The groom’s mother retired as a rabbi at Temple Sholom in Broomall, Pa. His father retired as the director of Hillel, the Jewish student organization, at the University of Pennsylvania.